The State Archive of Naples keeps a small nucleus of parchments which is improperly known as ‘Fond’, coming from Penne, nowadays within the province of Pescara. Currently we don’t know how these documents (1324-1650) reached the Archives of Naples, but if we carefully analyze the notes on the back of the papers and we compare them with those on the verso of the Historic Archive of the Archdiocese of Pescara-Penne’ documents, we can clearly see that they come from that Archive. Reading them it is possible to fi nd news about the territory of the ancient province of Abruzzo Ultra, as well as specific unknown historical issues of Penne. 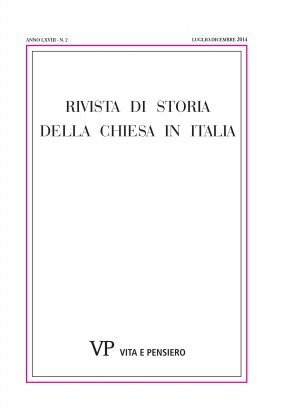 Moreover, it is particularly interesting the act dated 1324, that concerns the episcopacy of ‘fra Matteo’, archbishop of Durazzo from 1320 to 1334, and it is also useful because it mentions for the first time ‘fra Francesco’, the most ancient bishop of the diocese «Vregen al.Wregen s. Wergen» in Epirus, suffragan of Durazzo.